This sign is very true! 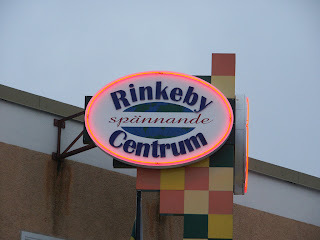 Rinkeby center is exciting. I agree. In spite of (or rather because of) it's somewhat tarnished reputation as a problem suburb it's really worth a visit.